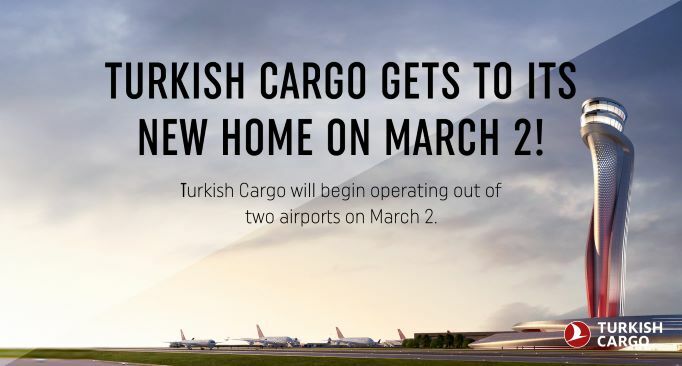 Providing services to 124 countries worldwide with the title of the fastest growing air cargo brand in the world, Turkish Cargo will now also be offering its high-quality services from Istanbul Airport, thus carrying out its operations simultaneously on both Istanbul Airport and Ataturk Airport as of March 2, 2019. As of the date in, the transportations to be performed by utilizing the cargo capacity on passenger aircraft will be operated from the new Istanbul Airport. On the other hand; Turkish Cargo will be continuing its operations to be performed by means of freighters, from Ataturk Airport.